● Dual nozzle, different working modes, support you to create an idea—— It can support the printing of filament of two different material colors. The two nozzles cooperate with each other and do not disturb;It supports to print two kinds of materials at the same time, such as PLA and PVA. Or choose one of the nozzles for the single-spray mode of operation. ● The nozzles can be adjusted up and down to control the printing position precisely. There will not be a deviation when it is printed. ● The machine adopts high accuracy stainless steel guide rail, which is more stable and runs smoothly. It can ensure the machine to work for a long time. 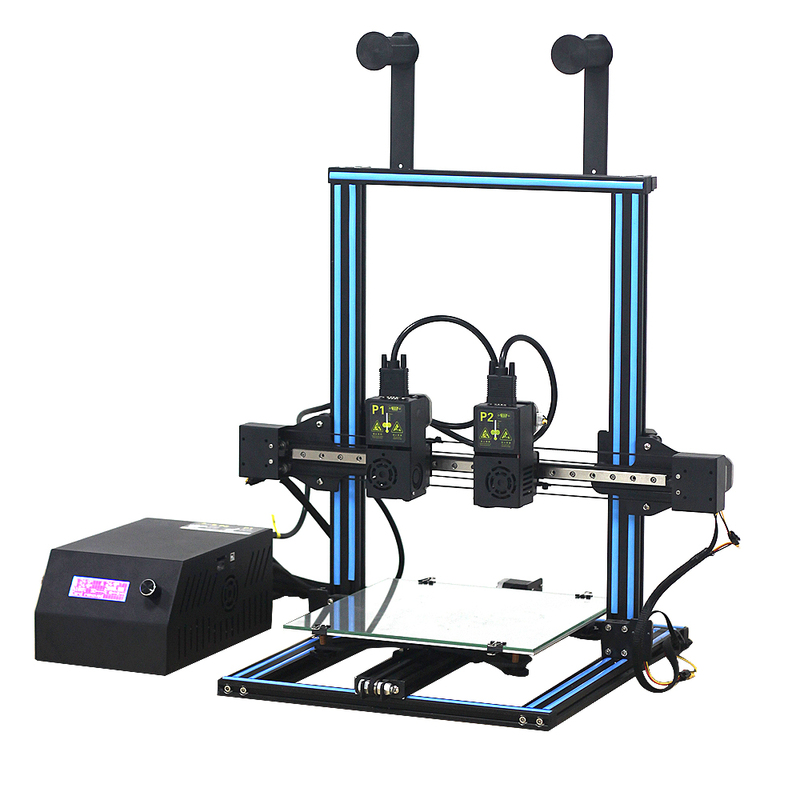 ● 7-axis motor motherboard, Z axis two motors independently run Z axis. ● 1 set/box, just need 3 minutes with simple assembly, you can print the model you need.